There&apos;s still a lot more outdoors than indoors here, and this region uses every acre. The big ski centers are a short drive away, but smaller hills make great family outings for skiers and snowboarders seeking gentler slopes. Skating rinks offer bracing good fun while snow-clad forests beckon snowshoers and the cross-country crowd. State Parks offer many trails to explore, and snowmobilers will find plenty of frozen tundra to tackle. Many of New York&apos;s top state parks call this region home. Grafton Lakes State Park keeps its trails nicely groomed for snowmobilers, snowshoers and cross-country skiers. When conditions permit, ice fishing lures diehard anglers for perch, northern pike and walleye. Mine Kill State Park features snowmobiling, cross-country skiing and snowshoeing for winter visitors, while the Helderberg Escarpment at John Boyd Thacher State Park reveals a breathtaking panorama of the Hudson and Mohawk Valleys, plus 12 miles of trails for cross-country skiing, snowshoeing, hiking and snowmobiling. Looking for a good skate? 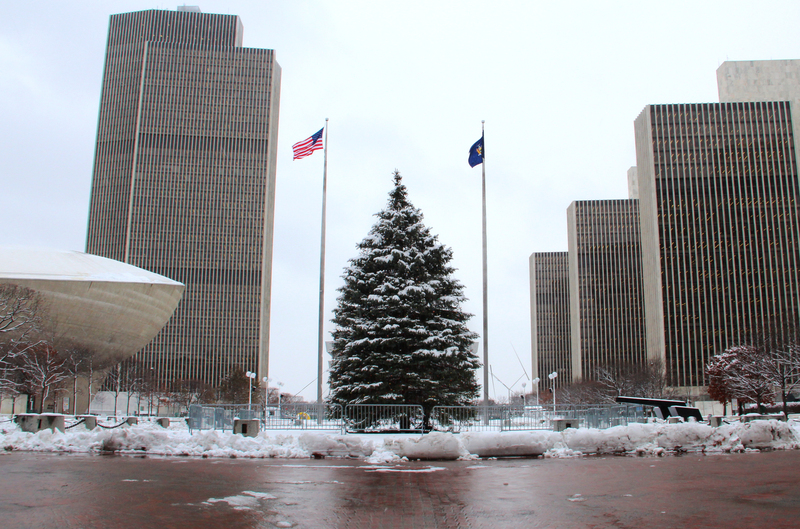 Sharpen your blades or rent a pair, and hit the ice at Albany&apos;s Empire State Plaza. Skaters are rink-bound as soon as the ice hardens at arenas throughout the region. Even wobbly ankles are just a lesson or two away from effortless gliding through the winter air. Or watch a game of pickup hockey from the safety of a bench. evokes centuries-old winters. This ancient residential neighborhood is one of America&apos;s oldest, surviving wars, sweeping fires and savage massacres. Today, its narrow lanes are still lined with pre-revolutionary homes. In Saratoga Springs, a drive down Union Avenue&apos;s Mansion Row hints at the lavish history of this famous town. Every stately mansion here has its stories, legends and even ghosts. Take a ride on the Saratoga-North Creek Railway for beautiful views and as a new means of exploring the region. There&apos;s a lot to celebrate here. December sees Troy&apos;s Victorian Stroll, Albany&apos;s Winter WonderLARK event with trolley rides, and the annual Capital Holiday Lights in the Park a Washington Park drive-through event with show-stopping holiday light displays, live music and family fun. Schenectady&apos;s Holiday Parade is the largest nighttime parade in the northeast. Both Albany and Saratoga Springs host vibrant First Night celebrations, and Saratoga&apos;s Winterfest brings live music and special events to mid-winter. January brings the Grafton Winter Festival to Grafton Lakes. 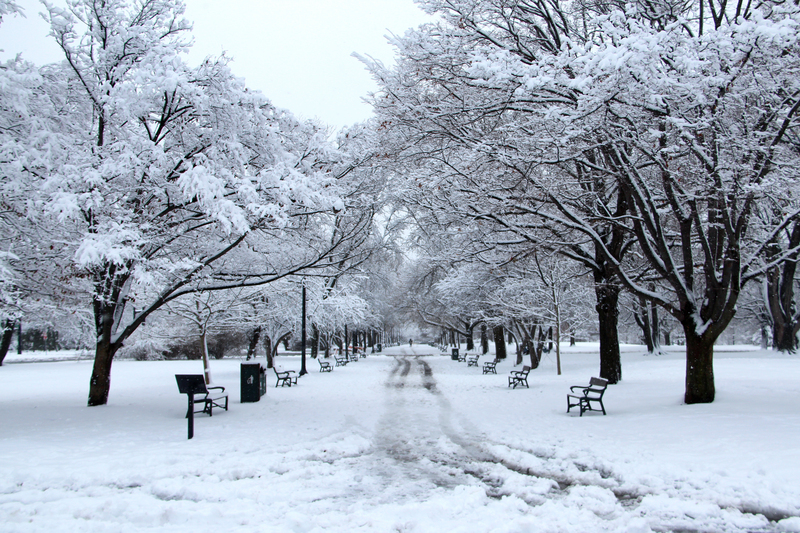 In February, make time for the Saratoga Springs Flurry Fest, and get a sneak peek at spring colors during the New York State Museum&apos;s New York In Bloom event. For more events in the Capital Saratoga region click here.